Human beings spend about one third of their lives in bed on the average. This alone is enough reason to choose your mattress wisely. While some mattresses help to alleviate back pain, many of them cause it or make it worse. What makes it a little difficult to choose the right mattress is that you cannot tell if it is suitable for you or not until, after sleeping on it for about a week. 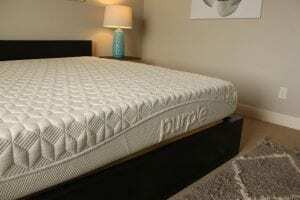 One of the major qualities to check in a mattress is moderate firmness. When your mattress is not firm it will give you a problem and it is not advisable to choose the one that is very firm too. Medical experts always advise on moderate firmness. You need to also check the material that the mattress is made of. However, that is one not so important. What matters most is your comfort. I personally found the Purple mattress most comfortable and affordable luxury. No mattress is best for everybody. The mattress that is suitable for a friend might be a problem for you. So, you can’t really rely on reference when buying a mattress. You also need to consider your spouse if you won’t be sleeping on the mattress alone. It is advisable both of you make the choice together. It is important you test your mattress before buying it. You can sleep on it for five minutes on your back and another five minutes on your stomach. Check how you feel. 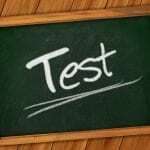 While this little test could help to eliminate some mattresses, it is not enough to make a good choice as you need to sleep on your mattress for a week to decide. This is why you should look for a mattress seller that gives a relaxed return policy. That way, you can take it home and sleep on it for up to a week. You will be able to decide if it is okay for you or not. You can’t really tell the durability of a mattress. You can only speculate. Being very hard and firm does not mean it can’t thin out in a short period. Hence, seek guarantee on it. Most mattress stores that have customer-friendly return policies usually give guarantee on their products. It is quite tempting to select the cheapest mattress of your preferred size. But you need to be a little careful. Quality does not come cheap. When you run into a mattress with a ridiculously low price, don’t just think you are lucky. It could be a big trap, especially when it is not backed up with any form of guarantee. Don’t be deceived by a common selling gimmick like sticking a “medically-approved” label on the mattress. When you see such labels, just ignore it. Most times, it is a lie. If it was approved by any medical organization, it will be stated in the label. Finally, you need to check as many mattresses as possible before settling for one. You may think what you chose is the best until you test another one. As a matter of fact, you can’t really say you chose the best until you test all the varieties. VjPillow.com is a participant in the Amazon Services LLC Associates Program, an affiliate advertising program designed to provide a means for sites to earn advertising fees by advertising and linking to Amazon.com and Amazon.ca. Amazon and Amazon Logos are trademarks of Amazon.com, Inc. or it's affiliates.